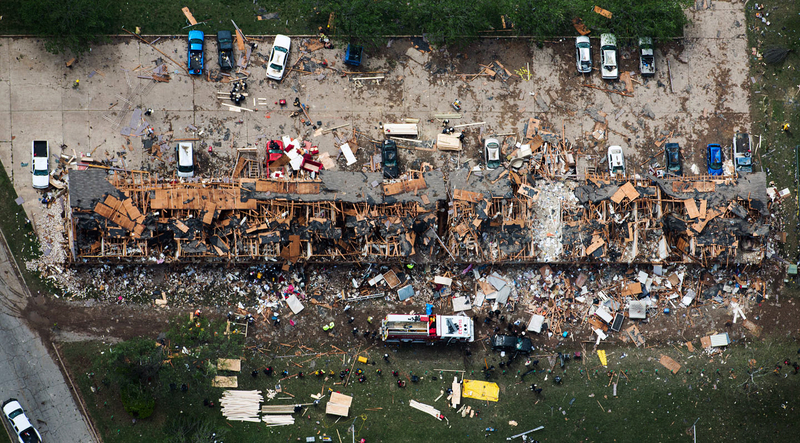 WEST, Texas A law enforcement official says two more bodies have been recovered in the wake of the Texas fertilizer plant explosion, bringing the death toll from the blast to 14. Ten of the dead were first-responders -- including five from the West Volunteer Fire Department and four emergency medics, West Mayor Tommy Muska said. .
Texas Public Safety Sgt. Jason Reyes says the bodies will be sent to the Dallas County medical examiner's office for identification.